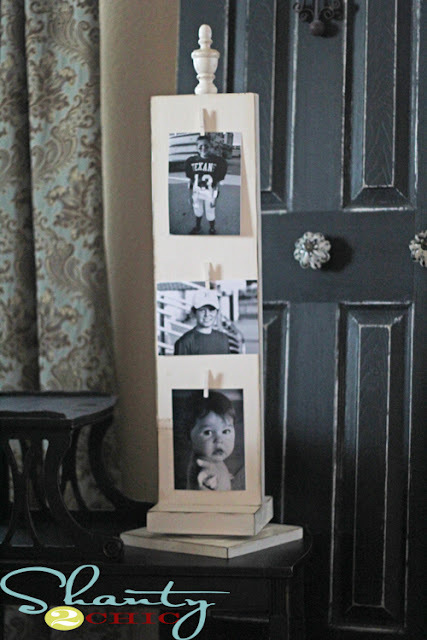 This photo carousel that Ashley created was inspired by the Pottery Barn photo carousel. I don't think they are available anymore, so thankfully she shared her DIY tutorial with us. 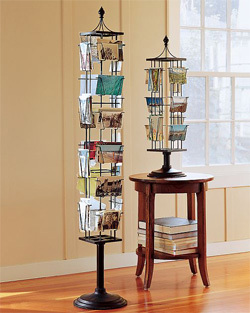 Obviously you can display pictures on it, but you could also use it as a Christmas card display too. And if you happened to paint it black you could hang some cute Halloween images from it as part of your Halloween decorations. You can check out the tutorial for this Pottery Barn knock off photo carousel over at Shanty 2 Chic. I love this...I pinned it!